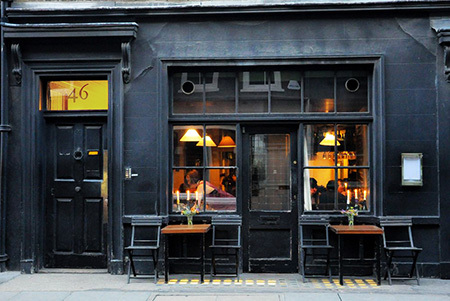 Nestled slap bang in the middle of Soho, Andrew Edmunds is a quintessential romantic restaurant. Twinkling candles, warm and cosy with chatter a plenty create what makes for a wonderful date and meal in London’s West End. The outside of Andrew Edmunds is fairly nondescript, dark with a small doorway and windows, if you’re weren’t on your way there you would probably pass it by without a glance. 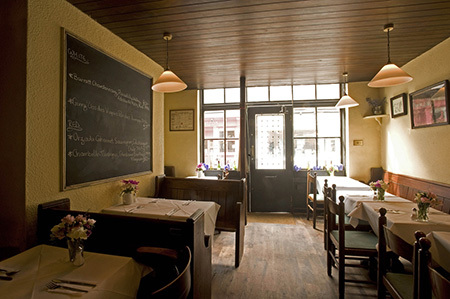 Inside is snug, a tiny space that could be considered a bit too small for the amount of tables that inhabit it however the warm and relaxed atmosphere gives a lovely welcome. Seated in the candle lit window we definitely had the best spot in the house. It felt like we were in a 1940’s Parisian style speakeasy being surrounded by all the candles and rustic wooden decor. The menus are charmingly handwritten and it was quite fun trying to decipher the writing that reminded me of a chicken scrawled doctors prescription. While the menu is fairly small there is a good variety of dishes with something to suit everyone’s taste. We decided on starters of cured beef with salsa verde and the foie gras mousse with brioche. Mains of Dover sole with prawn salad and new potatoes, and the wild boar ragu. All dishes were excellent but the Dover sole was standout, cooked with care, the delicate light flesh falling away from the bone. A very good main indeed. We got a dessert each however we should have just opted for one between us; a humongous potion of sticky toffee pudding and a slice of cheesecake. 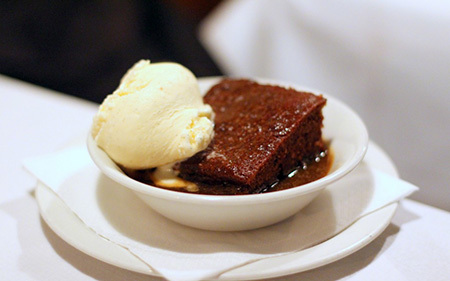 The sticky toffee was killer and left us both with an enormous smile on our faces, real comfort food. The presentation of all the dishes was simple, nothing fancy and it didn’t need to be, the emphasis being on beautifully cooked high quality ingredients. Andrew Edmunds also sports a large, well priced wine list with a great selection of sweet wines and sherries. At the end of our meal we indulged in a glass of the sickly sweet Pedro Ximénez; a sugar overload but a perfect way to round off the meal. 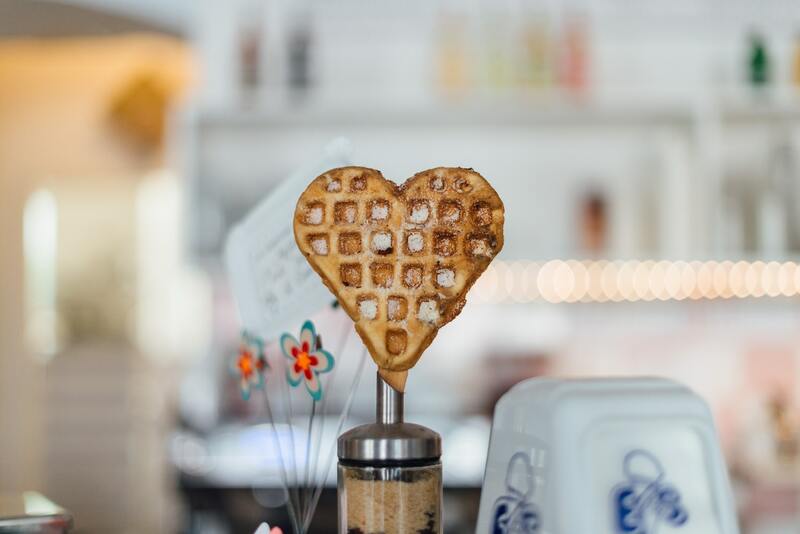 Reservations open one week before and walk-in tables do become available late on in the evening but I wouldn’t risk it, it’s a solid choice If you’re after a fantastic romantic restaurant for a date in Central London with an extra cosy atmosphere.